I’ve been building this auk for the last five years in my garage. 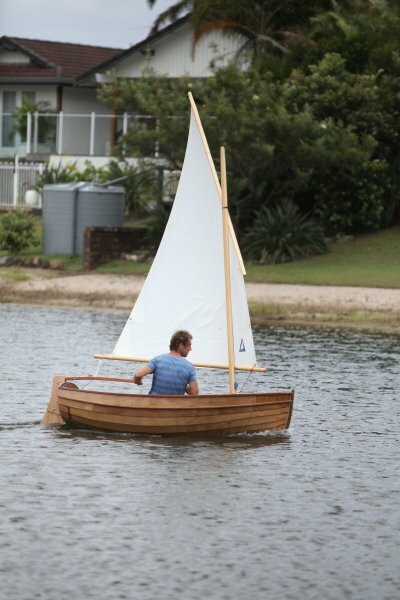 The idea was that I would learn how to build a boat with this one and then move onto something a little larger, but I am not too sure how my wife will take to the news that I’m starting another one. 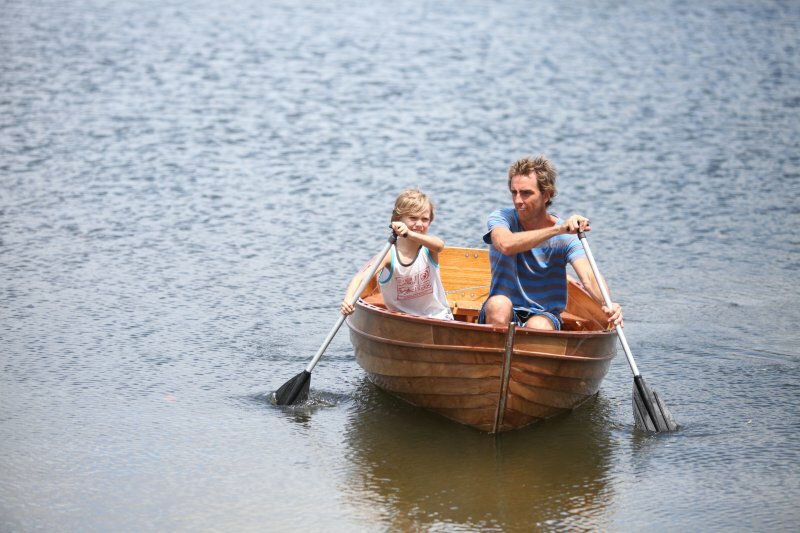 She was intended as a little sailing, rowing and fishing boat for my son Ben and daughter Lily to learn in. They both love her and are convinced that she is a lot better built than she really is. The auk is named Melissa in honour of my very understanding and patient wife. 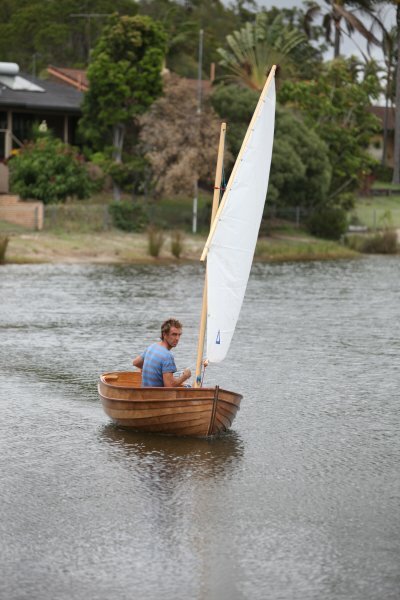 The photo shows her maiden sail. She performed beautifully, much better than anticipated and made the most magical sound as the water found it’s way around the hull. The helm was as light as a feather and she ghosted along in the lightest of breezes. I couldn’t be happier and can often be found either looking at her in the shed, or plans for something bigger online.